The Gospel challenges us, regardless of our age, or wisdom, or understanding, to continue to grow in our knowledge and practice of the Christian faith. 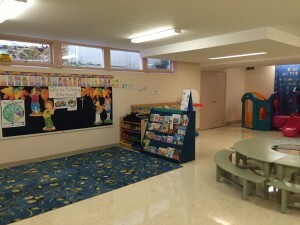 For the youngest members of our church family, just beginning their spiritual journey, Duncan United Church plans its Sunday School programs and activities with a view to fostering a feeling of community, understanding, and connection with the “whole family of God”. On Sunday morning . 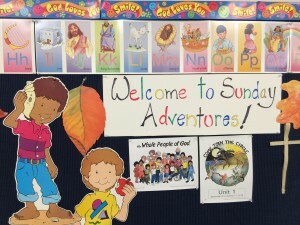 . .
Children learn acceptance, inclusivity and stewardship as they actively participate in our worship service. 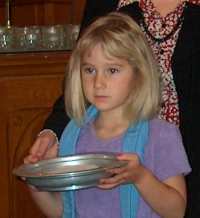 Children join with their families in worship through music and prayer, and take turns carrying out special tasks such as ringing the bell, lighting the Christ candle, assisting during the time of offering and helping serve Communion. After gathering for a special children’s time and family hymn, children and youth gather in age-appropriate Sunday Journey classes. On the first Sunday of the month, our “Everyone Upstairs” intergenerational Communion service offers children and youth the opportunity to participate in a full worship service and gather together as a family. Our bright and cheerful Nursery is available for the convenience of parents with very young children during the church service. A speaker allows the service to be heard in the nursery so that parents can stay with their children and still participate in worship. 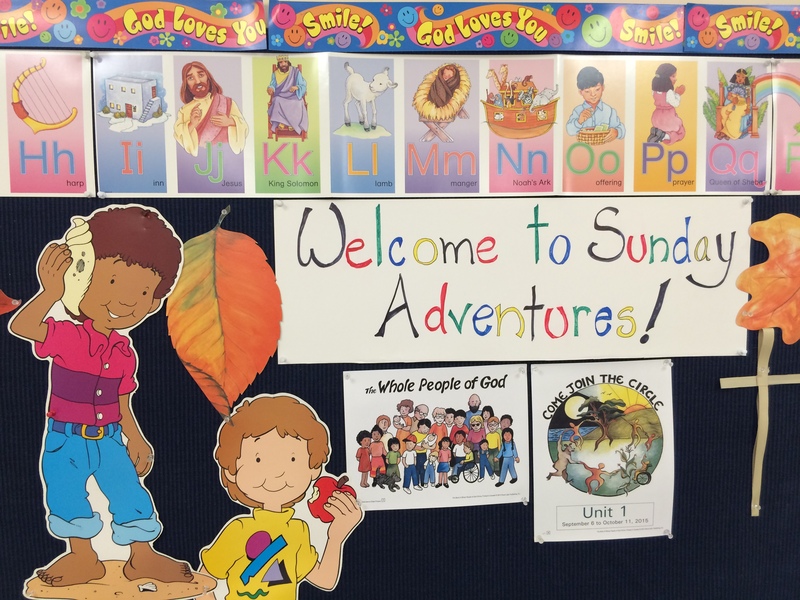 Our Sunday Adventures preschool program uses the Whole People of God curriculum to offer age-appropriate activities for children ages 2 to 4 in the Sundance Room. A story, craft and snack is presented by a volunteer teacher, with lots of opportunities to play with other children. Our Kindergarten to Grade 6 class uses Godly Play curriculum to introduce the stories of the Bible to elementary school-age children. 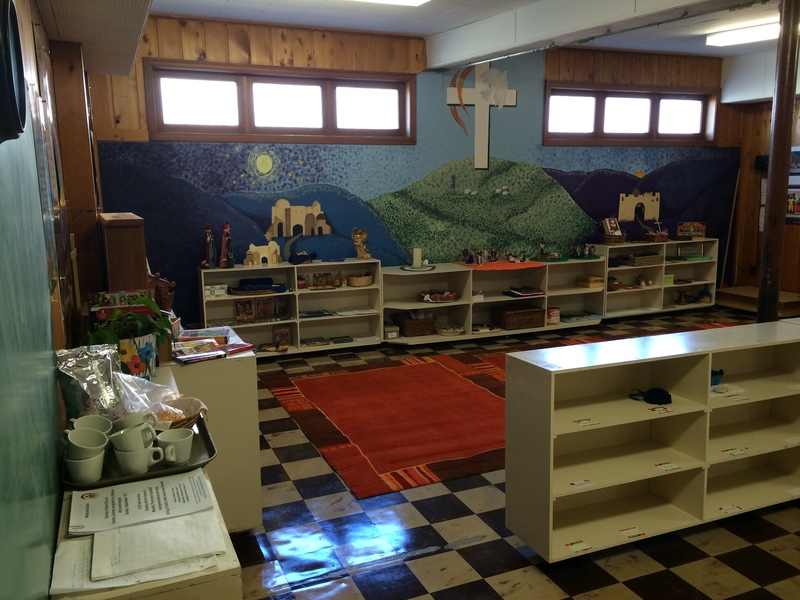 Godly Play is a Montessori-based approach to Christian education, which offers a creative, child-honouring way of experiencing Biblical stories through sacred stories, parables, liturgical actions and contemplative silence. In Godly Play sessions, children are welcomed into sacred space by a trained volunteer door-keeper. They listen to a trained volunteer storyteller share a story, then wonder together through discussion. The children are then invited to work with that story through playing with the story materials or responding with drawing, painting, journaling or sculpture, with the emphasis being on children exploring the meaning of each story in their own way and at their own pace. 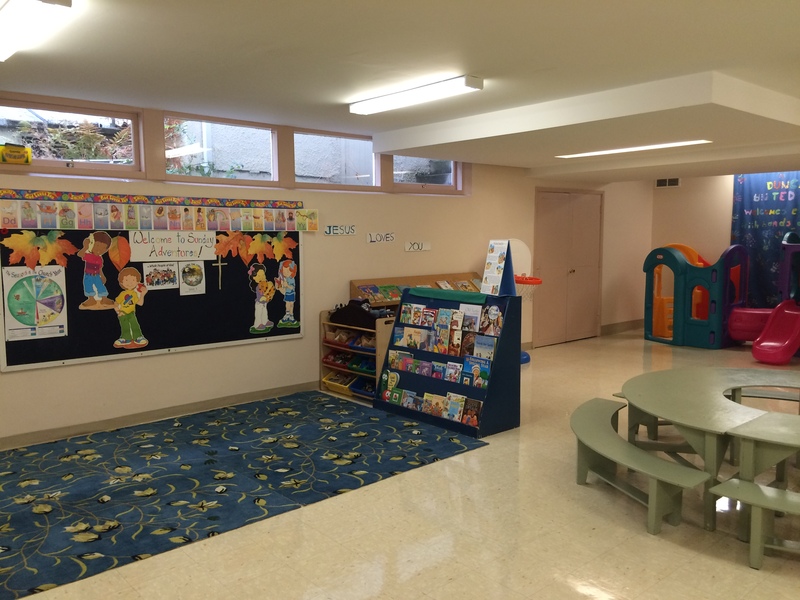 For more information on Godly Play, visit Godly Play Canada’s website. For our discerning and inquiring older youth in Grades 7-12, Breakfast on the Sun offers an opportunity to serve in the church and in the community, and explore some of the tough questions that come with growing in faith as a teenager. Young people in Grade 8 and up are invited to join our minister for the Youth Confirmation program to explore their faith and what it means to belong to the United Church. Sarah Prestwich coordinates our Children and Youth Ministry and may be contacted through the church office (746-6043) for further information about our Sunday Journey program.